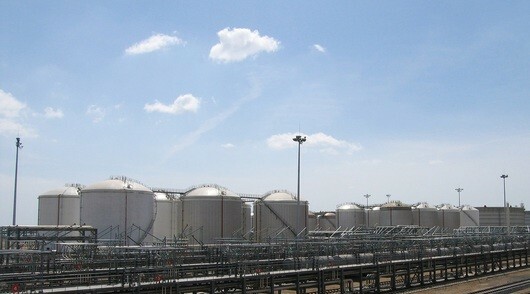 Conveniently located in one of the largest hubs for mineral oil products and chemicals in North East Asia, China’s Dalian New Port in Xingang: Odfjell Terminals Dalian (OTD) is providing the industry with a safe and efficient service for storage and transshipment of both hazardous and non-hazardous liquid products. OTD can be accessed via water, rail and road, and plays an important role in China’s export of liquid bulk chemicals. A significant amount of product is shipped from the Chinese hinterland into OTD by rail tank cars. To accommodate these product flows, OTD is equipped with a comprehensive railcar handling infrastructure where a total of 120 rail tank cars can be handled simultaneously. Odfjell holds a 25.5% ownership share in OTD. The potential terminal will be strategically located at Chanxing Island, a major national petrochemical industrial zone in China. Total land area of OTCX is about 52 hectares, reclaimed from sea. OTCX is a joint venture project between Odfjell Terminals Asia (40%), Dalian Port (PDA) Company Ltd (40%) and Dalian Changxing Island Administrative Commission (CXI Committee) (20%). Odfjell owns 20.4% of the Odfjell Terminals Asia share.